1. This is the necessary work light in the toolbox. It can be called a work light, it is not only a work light, but also a flashlight. 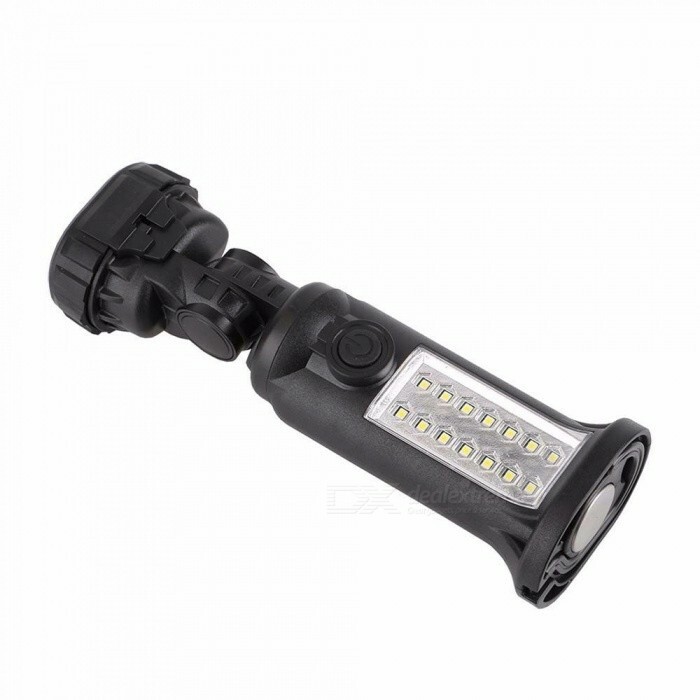 It can be used for camping, car repair, travel, power outages and emergencies. 3. 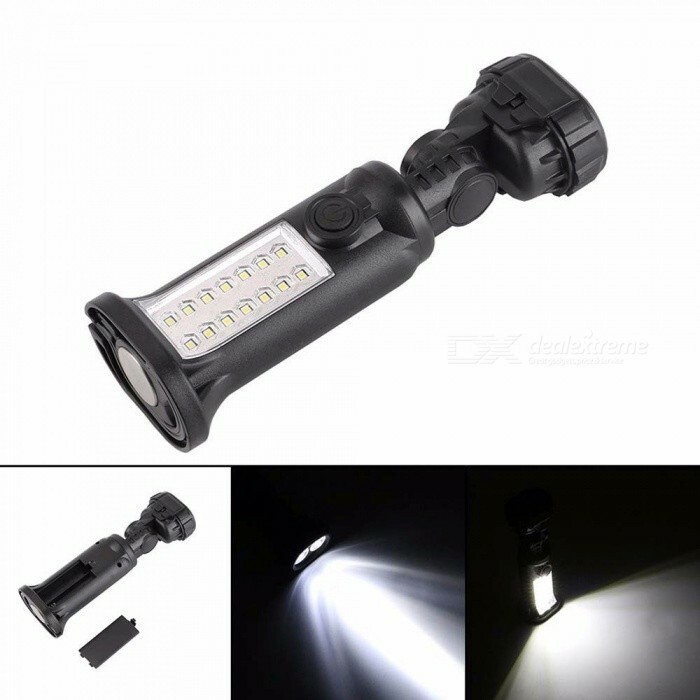 Save time – work light and flashlight combo is a good choice. 4. Switch mode can get different brightness: high beam, low light. 5. Powered by 4 AAA batteries (not included), it is convenient to save the battery without waiting for the power supply. 6. 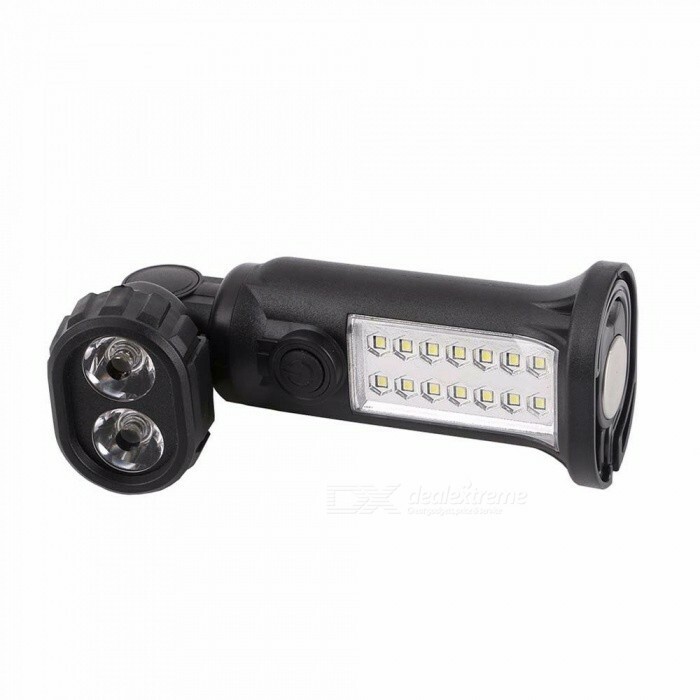 The flashlight head can be rotated 360° to give you the need for different angles of illumination.